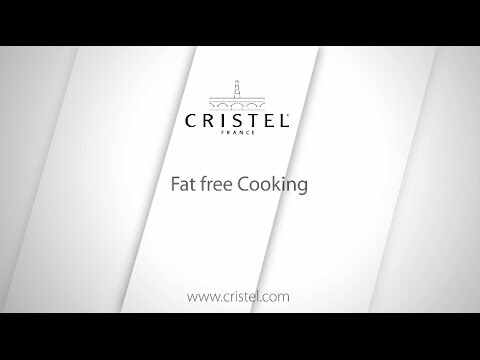 Stainless steel Non-stick Sauté-pan 18/10 with flat glass lid, brushed finish, detachable handle, with Exceliss non-stick interior coating from Strate collection. A must have in the kitchen, Strate non-stick Sauté-pans are available in 2 sizes: 3.5 qt and 4.5 qt. 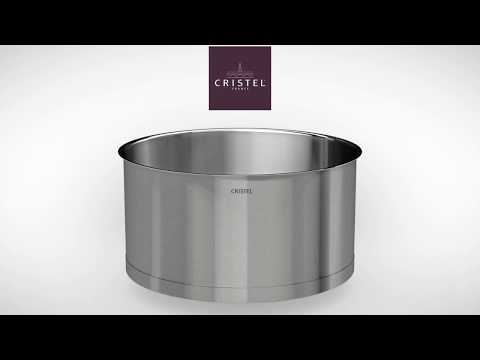 Thanks to the efficiency of their Cristel L Shape thermo-diffuser base, compatible with induction, the Strate Detachable handle system is perfect for delicate foods like fish, eggs and potatoes without sticking. For searing meat, prefer the Stainless steel sauté-pans. Switching the long handles with the side handles, the Strate Non-stick coating Sauté-pan turns into a serving dish. 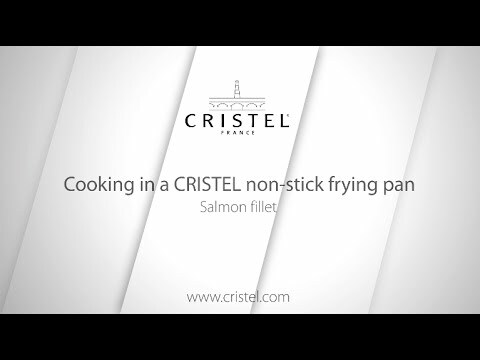 The Exceliss non-stick coating that Cristel uses has no PFOA. Detachable handles sold separately. 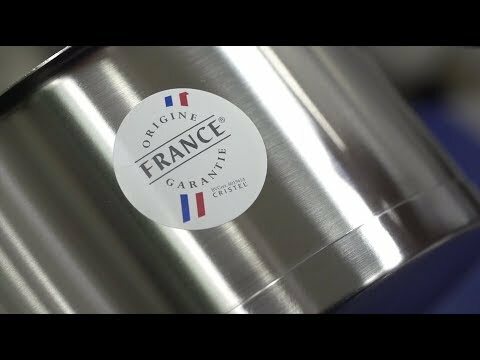 Certified Made in France, BV Cert. 6019453. Strate represents the epitome of user ergonomics in a sleek functional industrial design. The flat glass lids convert any vessel into a storage container to simplify use. 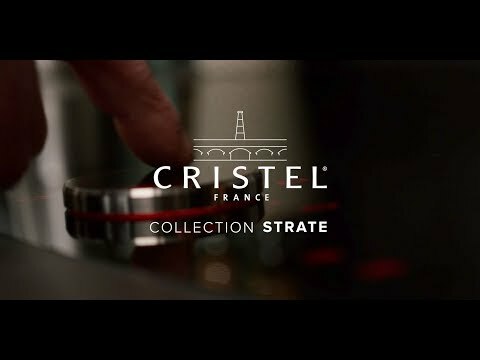 The Strate collection includes unique items like a counter lid management system for storage of both flat glass lids and splatter screens. A single line of satin-finish 18/10 stainless products. A complete collection of sauce pans, stock pots, cooking-pots, frying pans and sauté pans with an enveloping heat-diffusing base, specially designed for induction hobs, and various bain-marie, steam cooking and pasta cooking inserts.